I get asked for this one a lot! It's a great gift cake and goes well with coffee or tea. Prepare Bundt pan: Oil and flour a large Bundt pan. 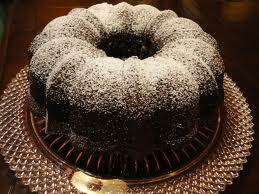 You can make two smaller ones using two 6-cup Bundt pans, but you must reduct the baking time to about 35 minutes. Sift 2 cups baking flour with 1 teaspoon each of nutmeg, cinnamon and allspice and set aside (I use organic pastry flour, sometimes mixed with hazelnut flour). When well mixed, add in the flour mixture, the prunes and the nuts and mix to evenly distribute. Pour into your prepared Bundt pan(s). Bake for 60 minutes and check to see if done . Check for doneness with a toothpick and by pressing your finger slightly to the top to see if it “bounces” back. If the toothpick comes out clean and the cake bounces back when pressed, it's done. If not done then, leave it in for another 5 minutes (it usually takes 65 minutes for me). Cool 10 min. before taking out of the Bundt pan. Cool another 15 min. before dusting with powdered sugar. Store in foil in the refrigerator. It will keep for 2 weeks if not eaten before! 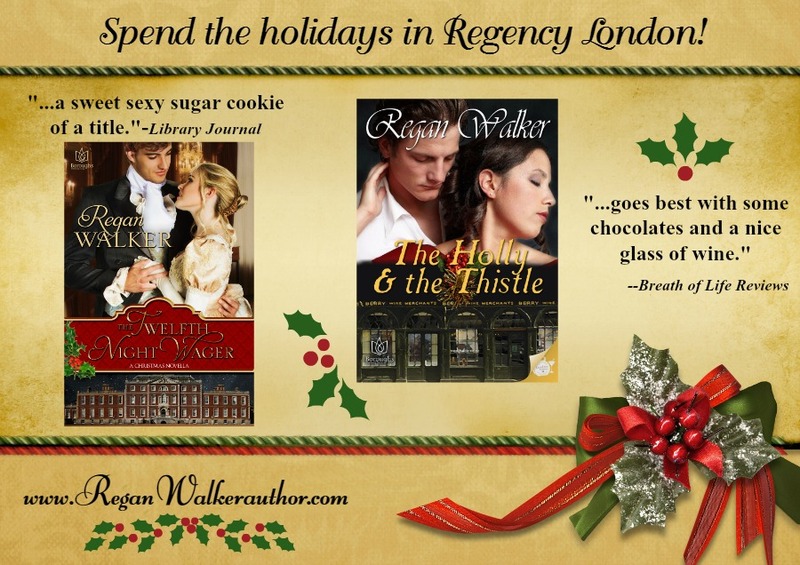 This cake goes well with my Agents of the Crown series in which the Prince Regent is frequently mentioned and my Christmas novellas!